At one point in my journey on healthy eating, I thought that granola bars from the store were “health food.” Yeah. Talk about a big ole smack in the face when I learned a lot of them are chocked full of both High Fructose Corn Syrup and Corn Syrup. For real? Do we need two sides of corn with our oats? Sheesh. So, I started making my granola bars at home. It’s super easy and doesn’t require any corn syrup. However, after looking around online I’ve realized that a lot of recipes say “healthy” or give you the idea that the granola bar is healthy, but it’s really not. If you make it at home, you really don’t need to add corn syrup – even if the recipe calls for it. FYI, I use Enjoy Life chips from Vitacost. Follow @humoroushomemaking on Instagram for daily meal inspiration! 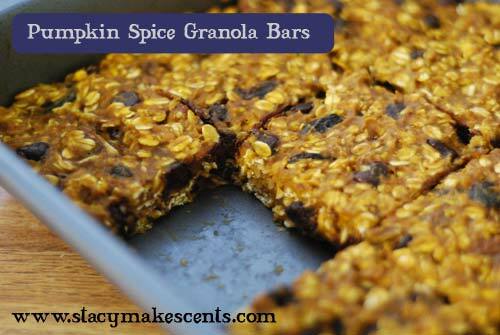 What’s your favorite granola bar recipe? Just wondering if anyone has tried freezing these bars? I’m interested in trying mainly the cranberry lemon and apricot pecan. It would be awesome if they froze well. Also, when left out, how long do they last? They last a long time at room temperature – at least two weeks for me. 🙂 I have never frozen them. I think that some of those recipes shouldn’t probably be put under the healthy label. A myopic look at corn based sugars can blind us to not noticing that some of these recipes that contain butter and coconut oil are full of incredibly unhealthy saturated fat. Saturated fat isn’t the bad guy – fat doesn’t make you fat. Sugar makes you fat. Let’s get the facts straight please! Only an excess of calories makes you fat. Sugar in excess can lead to insulin resistance and diabetes. There is little evidence to show that corn based sugar is processed in the body differently than cane sugar. They are both bad for blood sugar levels. The only sweeteners that have a lower Glycemic Index are honey and fructose naturally occurring in fruit (not when its been chemically extracted). Saturated fat can increase LDL cholesterol and lead to heart attack or stroke. However, healthy sources of saturated fat, such as fish and coconut oil, contain omega-3 fatty acids which are important to many of the body’s functions including improving cholesterol. Butter is not a healthy source of saturated fat, though in moderation it can certainly be included in a healthy diet. This is an awesome round up! Pinned!! 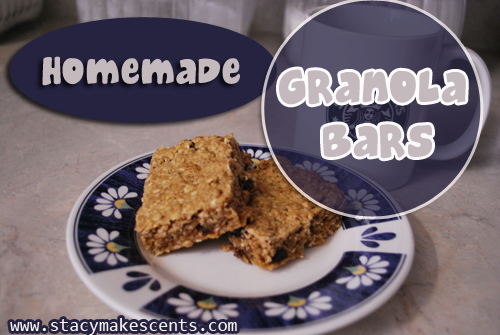 I’ve never made my own granola bars but it’s on my list of things to try! I am really enjoying all of your posts! Thank You very much for those great recipes! But thank you so much for linking to me. 🙂 Bless you sweet online friend! Thanks for adding those, Jodi! These are fantastic! Can’t wait to try some of them. Also, I love the new look. Just used the Recipe Index and I really like the way you organized it this time, very easy to find the inspiration I was looking for! Thanks for doing all of the leg work for us, just readers!! If I wanted to add some protein powder to my g. bars do you have a clue as to how much? I also typically use egg white powder instead of whey, agrees with tummy better; do you think that will make a difference? I know you R the “Proverbs 31” women and not a scientist, just thought the question had maybe been asked before or one simalar that you could repeat the answer back. Again, thanks for ALL of the hard work, time and energy you and Barry spend in making this a delightful, warm and inspirational emails and website!! I would think a scoop or two in any of the recipes would work just fine. Might make it a tad bit dryer, so you’d have to add more liquid…or maybe not. 🙂 Upping the protein is always good! BTW, this is the first time since the makeover I’ve seen it on my computer (been on my phone). Looks really nice!!! Thanks, Sara! 🙂 I hope you enjoy the list. Barry did a good job. 🙂 Thanks, Brandy! I see a mother/daughter baking time in the near future. My 15 year old daughter absolutely loves anything pumpkin and I’ve been wanting to start making our own granola bars. So, the pumpkin spice bars will certainly be the first we try. It will also give her some extra kitchen learning time. I LOVE cooking with my mom! 🙂 Have fun!! Stacy, thanks for sharing my recipe! Oh my goodness, love ya!! By the way, love the new look!! Thanks, Diana! I look forward to your change-over too. 🙂 Even though I currently love the site you’re in. Thanks for the great recipes! I’ve just started making my own and I’m going to be trying out a few of these recipes! I stopped buying store bought ones the moment I started to read the labels. LOL I love to know what it is I’m feeding my family! I know…reading labels just changes your life. I know – it’s because of how they market the product. Makes you wonder about other stuff too, huh? Yes, they are very easy to make! 🙂 I was trying to include mostly oat recipes though – I think I only had one on there that wasn’t oat…the Breakfast Bars from Alana’s Pantry. But yes, you can make SO many flavors! I was just working on a grain free granola bar the other day. They flopped ’cause I was trying to make them SF as well, but I am back to the drawing board :). Lots of flops here too. Thanks Stacy! 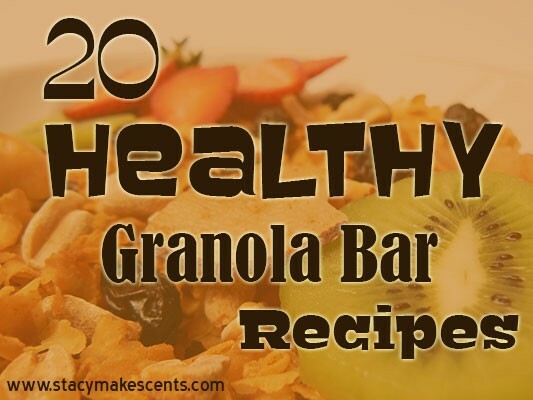 My sister and I decided to start doing once a week cook days where we make healthy snacks, try our hand at canning and even put together some freezer meals AND the FIRST thing we both wanted to do was find some healthy granola bar recipes. You made that so easy! We’re both moving towards whole foods cooking and excited to try your recipes! I’m still shocked at agave being a no-no! Trying some recipes later today. Thanks for the much needed, helpful info! You’re welcome. 🙂 Yes – it’s a shocker to most people because of how it’s been marketed. Love these recipes, but even more than that, I love your new layout! This is the first time I was able to read your post without messing with “zoom” and panning back and forth. It instantly recognized that I was on a mobile (BlackBerry Curve) and gave me a nice, easy to read mobile version. Good work! ROCK ON! That’s what I like to hear! What a great collection! Totally pinning. Thanks! Smiled when I saw my recipe up there. I appreciate it! 🙂 I like sharing your recipes – they’re delish! Have fun! Some of my friends have been there and loved it! 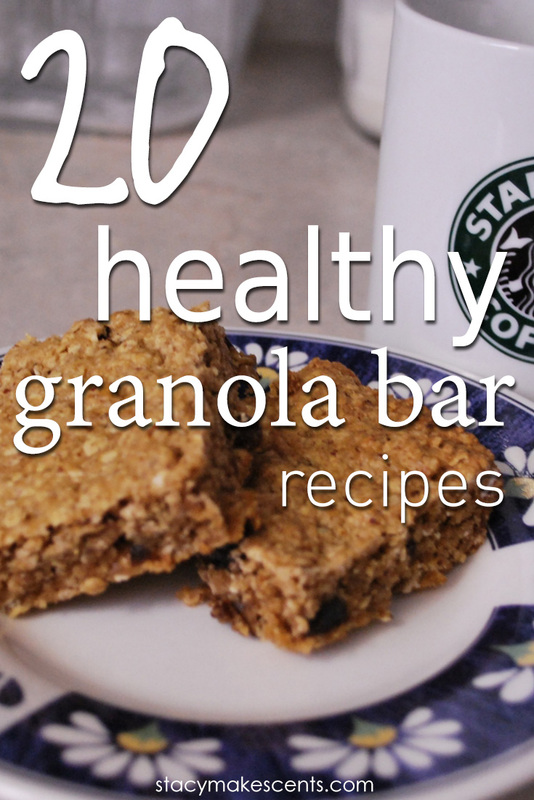 Have you tried all of these granola bar recipes? Just curious because I have tried a few from around the web that we less than desirable, actually downright aweful! Have a blessed day! Shoot – I forgot that ingredient.